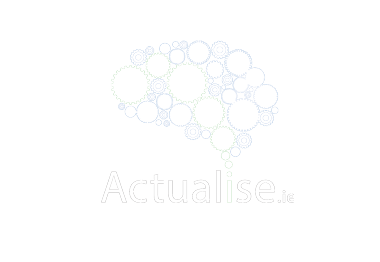 Actualise is Ireland’s leading neurofeedback training clinic, using the latest neuroscience evidence and technology to provide solutions to a range of psychological disorders, as well as peak performance solutions. Our team includes expertise in Neuroscience, Clinical Psychology, Organisational Psychology and Behaviour Analysis. We can render real-time 3-D brain images and allow our clients to learn control over aspects of their brain function and thereby learn to control behaviour. Based primarily at DCU Alpha, Actualise has active links with companies, universities and labs in Ireland, Europe, Asia and the US. As well as actively pursuing an academic research agenda, we are looking at innovative ways to use brain data to help individuals at work and to help organisations help their employees and optimise performance.